In a blog post last week, I briefly mentioned my fondness for Mya. 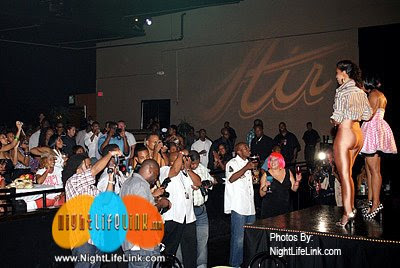 The sultry R&B singer was in town over the weekend to host a birthday party for Power 98's Consuella at Stir. I just viewed the photos on NightlifeLink.com. I've borrowed a few and posted them below. I'm an 80s baby, but I do know that in the 70s there was a popular piece of clothing called hot pants. James Brown even made a song about them. But those hot pants were shorts. These pants that Mya are wearing, these are what I consider hot pants. Man Law. Consuella and Mya at Stir on Friday. See more photos from this event (more than 100 of them—not all are of Mya) by clicking here. Way to go Mya! Yo body is to pretty sweetie. Her face and voice never cease to amaze me.